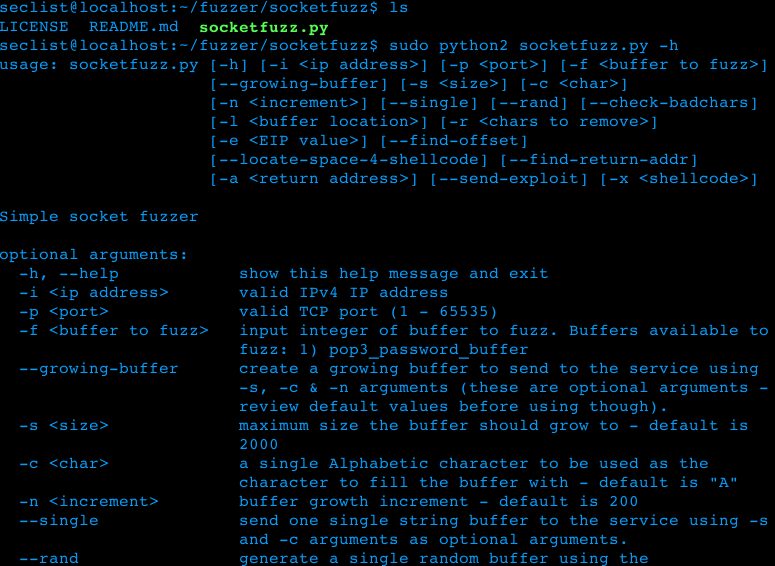 Browse: Home / socketfuzz – Simple socket fuzzer. + create a growing buffer to send to the service. 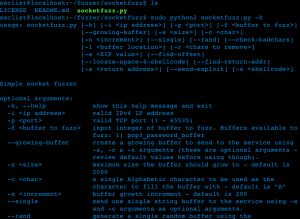 + automate the creation of reverse shell shellcode. + test exploit and send shellcode. ← BONOMEN – Hunt for Malware Critical Process Impersonation.